In the first two months of 2018, container tonnage at the Port of Houston increased 7% as 6.1 million tons of cargo were processed. The Port of Los Angeles had the busiest February in its 111-year history, and the Port of Long Beach, Calif., reported a 32% increase in February from the same time in 2017. In Jacksonville, Fla., Jaxport said container volumes are up 25% in 2018 compared with a year ago. The Port Authority of New York and New Jersey reported a cargo record in February and that it is on track to improve upon the record set in 2017, when it handled 6.7 million 20-foot-equivalent units, or TEUs, for the entire year. Even during the Great Recession, many ports started planning significant infrastructure and other improvements, anticipating a jump in cargo. One reason is that in 2007 Panama began a $5.2 billion expansion, doubling the capacity of the Panama Canal. 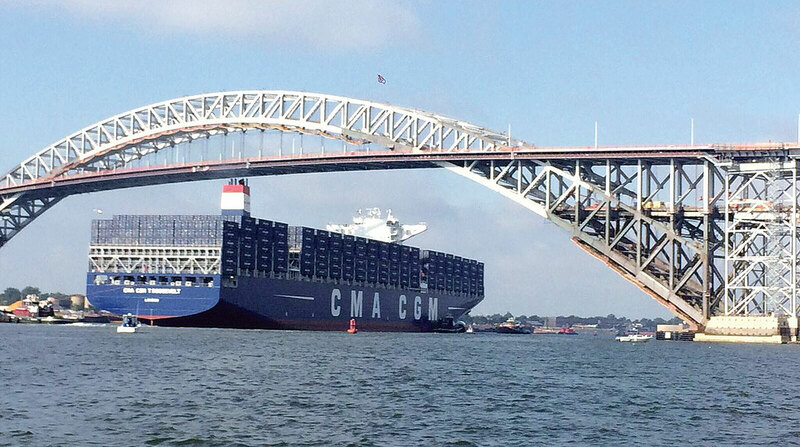 That allowed it to handle the world’s biggest Neopanamax ships, carrying as many as 15,000 containers each. Beginning in 2016, and through 2020, U.S. ports plan to spend an estimated $155 billion in public and private sector funding on infrastructure-related projects. Numerous ports are in the middle of extensive dredging projects, adding more massive cranes, and new berths, along with widening access roads to improve the connections from the dockside to the highway on-ramps. The New York-New Jersey Port Authority is spending $4 billion for ongoing terminal improvements and several cranes that are scheduled to arrive this month. Last year it completed raising the roadway of the Bayonne Bridge by 50 feet, without taking the bridge out of service. The span connects Bayonne, N.J., and Staten Island. The additional height means the port authority can accommodate much larger ships, and there is future expansion for cars and trucks. For now, the ports and dray truckers are holding their own regarding moving cargo by operating more efficiently. But officials caution many ports may be about to reach the physical limits of their capacity to expand. Incremental progress is being made at some ports to make them more efficient and reduce the amount of time that cargo sits before it is loaded onto trucks. Oakland, Calif.-based Pacific Merchant Shipping Association reported that from December 2017 to the end of February, the average number of days a container stayed at the ports of Los Angeles and Long Beach dropped 16%, from 3.08 days to 2.63 days. Time is money. For trucking companies and shippers, the increasing cargo volume is doing more than generating more revenue for everyone along the supply chain. It also is forcing port authorities and others to look at their expansion plans, five and 10 years out, and consider moving some operations off-property, and constructing larger terminals for trucks and rail, up to 100 miles away. This move could cut the need for drivers to enter congested ports, cutting their waiting and shortening their trips.